The long Louisiana summer has finally come to an end, and the wonderful weather of autumn has arrived. 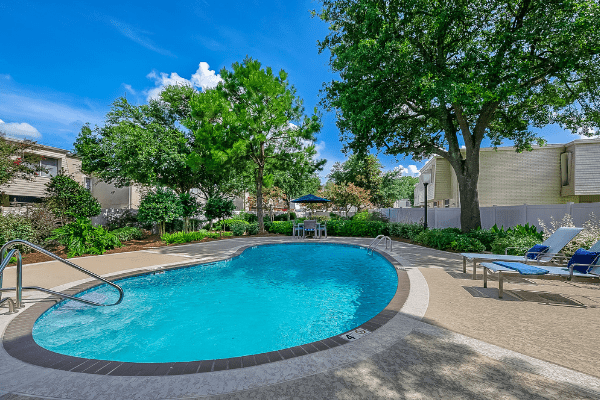 You probably spent the summertime having fun with friends by the pool or relaxing in your fantastically air-conditioned abode. While that might have been wonderful, the lower temperatures of autumn bring new options for ways to spend your free time. For those of you in relationships, this is great news. Fall is full of potential activities perfectly suited for dating. 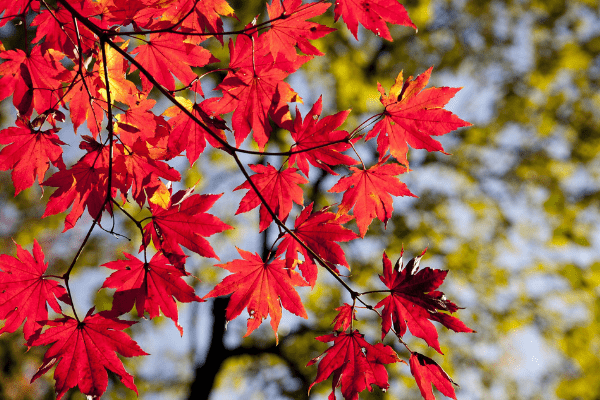 Read on for some of our suggestions for places to go on dates this fall! There is a seemingly endless list of places to bring a date this autumn in New Orleans. Events range from casual to formal. For those who are into more spontaneous activities, there are places in the city to hang out that don’t require official events to enjoy. From October 2 – November 13, the Paradigm Gardens (1131 S Rampart St) will host their annual fall concert series. Each of the four concerts will feature an evening of music, along with a menu from local chefs and restaurants, as well as beer and cocktails from local breweries and bars. This concert series is a wonderful way to spend a low-key but romantic evening with your special someone. The Audubon Nature Institute operates ten museums and parks dedicated to nature and the Audubon Zoo and Aquarium of the Americas are its two most popular locations. 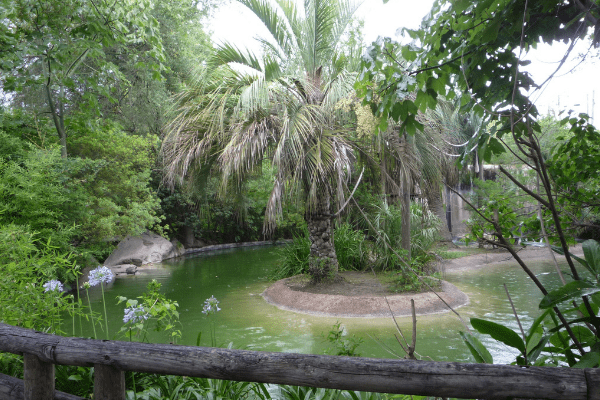 Located in beautiful Uptown New Orleans, the Audubon Zoo features animals from all over the world surrounded by lush gardens. It’s also close to Audubon Park, a beautiful city park full of majestic oak trees and nature trails. The aquarium is located on the Mississippi River, featuring a number of gorgeous marine habits and a large variety of sea creatures. Audubon Zoo. Photo courtesy of Wikimedia Commons. St. Tammany Parish, also known as the Northshore, is a great place to get away from the hustle and bustle of New Orleans for a leisurely autumn date. The Three Rivers Arts Festival takes place November 10 – 11 in the historic downtown district of Covington, LA. This weekend-long event is a showcase of over 200 artists from around the US. The festival takes over several city blocks, featuring ceramics, paintings, photography, fiber art, woodworking, metalwork, sculptures, jewelry and more. There’s no admission charge, and parking is free. Take a leisurely stroll, enjoy live music in the crisp November air, and maybe purchase a handmade keepsake for your significant other. Sometimes, a morning date can be a great way to shake up your dating routine. The Mandeville Trailhead Farmer’s Market takes place every Saturday from 9 a.m. – 1 p.m. It features over 50 vendors offering “food of all types, wood-crafted items, artwork, pottery, children’s toys and clothing, soaps & lotions, and more.” Fall is the perfect time of year to grab a cup of coffee and enjoy the local flavor. Once you’ve seen the marketplace, take a 5-minute walk to the shores of Lake Pontchartrain and soak in the incredible view. Corn maze. Photo courtesy of Tsikavyi via Wikimedia Commons. Every weekend from September 29 – November 25, the Cajun Country Corn Maze will be open, and it’s the perfect place to enjoy a date in the fall. 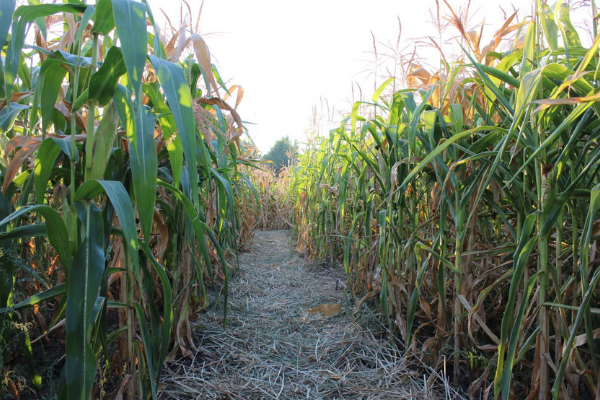 The maze is constructed from a 7.5 acre corn field, and takes 1 – 1.5 hours on average to walk through. Fall is the Perfect Time to Find a New Home at 1st Lake Properties! We hope you take advantage of the fantastic weather and jam-packed events schedule this autumn in Louisiana. 1st Lake has properties located near all of our suggested date spots. 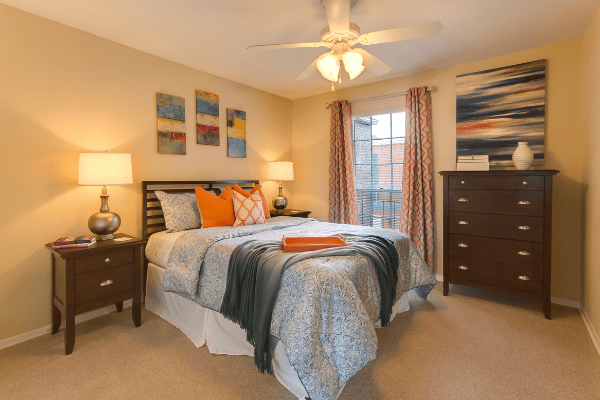 Contact us today to learn more about our private gated apartment communities! Have you ever downsized? In case you haven’t — simply put, downsizing refers to moving to a smaller apartment or home. Over the last few years, minimalism has become a trend among millennials and others attempting to simplify their lives as a reaction to the fast-paced, cluttered lives that we lead. People also downsize in order to use fewer natural resources. Or, they’d just like to focus and compartmentalize their lives based on their top priorities. No matter what, downsizing requires a lot of organization. This post will give you a few tips on how to make downsizing easier. Read on for more! This process can be difficult. After determining how much space you’ll have in your new place, you’ll probably realize that you need to get rid of a lot of your stuff. The easiest way to make these decisions is to plan ahead. If you intend to toss or donate your excess personal items, you should give yourself plenty of time to track how much you actually use the things that you own. Observe the parts of your wardrobe that you didn’t touch for a month, six months, or a year. Do the same thing for the items in every room. Which kitchen utensils haven’t been touched? What furniture hasn’t been used? Do you notice any items on your grocery list that you regularly don’t end up using? After creating this list, bite the bullet and be ruthless about de-cluttering your space. Give away what you can and toss the rest. This is pretty simple. Make sure you have exact measurements of every room in your new place. There’s no bigger pain than realizing your furniture won’t fit after you bring it up three flights of stairs. This is a slightly different process than de-cluttering your home. Imagine yourself in an emergency scenario — any other situation where you have to leave your house with a very limited amount of time to prepare. Or, simply keep the term “bare necessities” in mind as you meticulously take an inventory of your possessions. The maximum number of items may change depending on the category. For example, a 3-item cap on paintings makes more sense than a 3-item cap on forks. Moving to a new place is an exciting event. It’s a time for a fresh start, and sometimes we get carried away with trying to reinvent ourselves by changing our surroundings. Something you want to avoid is buying items to complement your new home — and the “new you” — that end up ruining all the hard work you’ve done to de-clutter and optimize your use of space. For more tips on avoiding unnecessary purchases, check out this guide from Nationwide. After all, it’s important to remember that “downsizing” means your home will be smaller. And you may have many reasons for your new lifestyle, but part of the process is acknowledging that you can’t fit everything you currently own into your downsized living space. 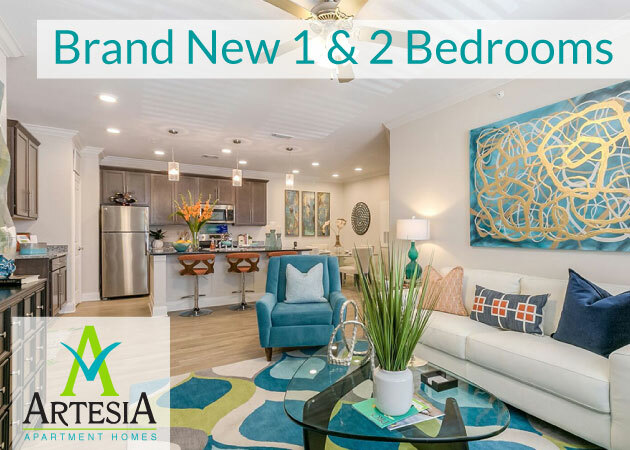 Learn More About 1st Lake’s Floorplans, Seasonal Promotions, and More Today! 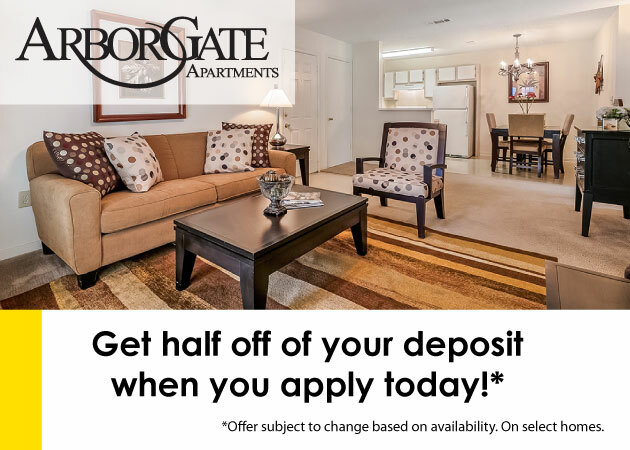 Contact us today to learn about our wide variety of locations and amenities, and let us help you find the perfect home in one of our gated apartment communities! Have you ever craved a delicious, complete lunch for a great price? We’ve got you covered. We’ve put together a list of happy hour and weekly specials in the Metairie, Kenner, and River Ridge areas. These spots are close to our properties, making all of them as convenient as they are delicious! Andy’s Bistro is a restaurant, bar and event space located on Veterans Blvd. They were also recently voted the best pizza in Metairie. From 4:30 – 6:00 p.m., Andy’s offers a “Prime Time” menu — a fantastic 3-course meal for only $29. For the main course, you’ll be able to choose between filet mignon, fresh fish, pork chop, and paneed veal. Despite being featured on our Happy Hour List, Loft18 offers more than just food and drinks. It is an indoor golf and entertainment center, designed for year-round indoor golf simulation and relaxation. Loft18 is a great place to spend time with friends, and their weekly specials make group gatherings even better. Loft18 offers a different food and drink special every day of the week, including discounted sliders on “Lazy Saturdays” and “2 for 1” Tuesdays, which features any two select menu items for the price of one. Check out their full list of specials here. Drewski’s is another restaurant that offers daily lunch specials well worth checking out. Daily items include Shrimp, Tomato and Basil Pasta Topped with Bronzed Catfish and Garlic Bread and Southern Fried Chicken. Boulevard American Bistro is an upscale establishment located at 4241 Veterans Blvd. in Metairie that offers a fantastic “Social Hour” menu from 3 – 6 p.m., Monday – Friday. $7 small plates like Tuna Tartare, House Made Guacamole, Fried Lousiana Oysters, and a Petite Ribeye Steak Sandwich complement their great drink specials perfectly. Heads & Tails is a fantastic seafood restaurant in Harahan with an incredible happy hour menu Monday – Saturday at 3 – 6 p.m. that offers discounts on oysters, BBQ shrimp, boudin stuffed mushrooms, and more. Taste of Tokyo offers delicious Lunch Combos from 11 a.m – 3 p.m. Monday – Saturday. Try this spot for great hibachi and sushi dishes. Copeland’s in Kenner offers great lunch discounts on their delicious appetizers, including, Seafood Stuffed Mushrooms, Crab Stuffed Beignets, and Artichoke and Spinach Dip Monday – Friday from 4 – 7 p.m.
Stingrays in Kenner offers delicious lunch specials from 11 a.m. – 4 p.m. that vary from day to day. Specials include fresh fish filets, shrimp & sausage jambalaya, and stuffed bellpepper for incredible prices. Every Tuesday at Chilangos in Kenner, you’ll get great discounts on tacos and quesadillas, as well as margaritas. Check out their great deals here. 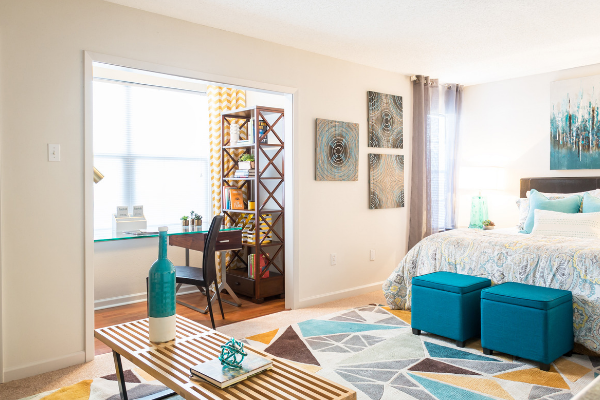 Let Us Help You Find the Perfect Apartment in the New Orleans Area!